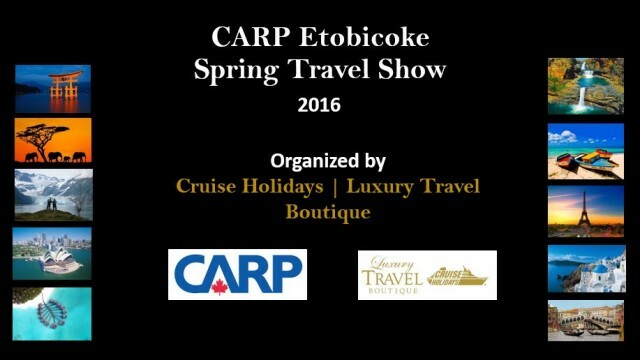 On February 17, 2016, Cruise Holidays | Luxury Travel Boutique organized the CARP Etobicoke Travel Show 2016 for the third year in a row. 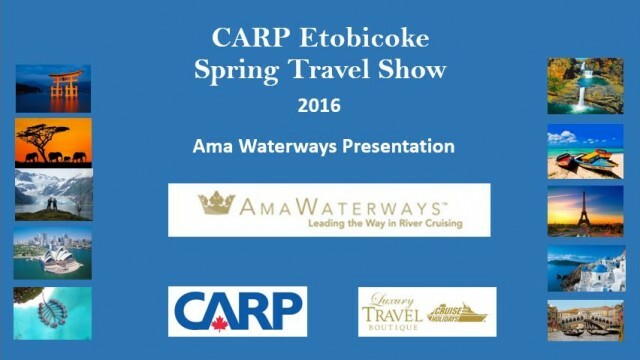 The CARP Etobicoke Travel Show 2016 has been a popular event for several years and the last three events have been organized by Cruise Holidays | Luxury Travel Boutique. This year the event was held at the Lambton Golf and Country Club in the heart of the Kingsway area of Etobicoke. Cruise Holidays | Luxury Travel Boutique Co-Owners Peter M Wong and Lola Stoker have been members of Lambton for over 15 years and were pleased to showcase the club to CARP Etobicoke members and their guests. Over 70 CARP Etobicoke Members and guests listened to presentations from five travel companies including Ama Waterways, G Adventures, Windstar Cruises, Just You Solo Traveler Experts and Insight Vacations. Ama Waterways is one of Cruise Holidays | Luxury Travel Boutique’s favourite river cruise companies. Kelly Graves from Ama highlighted the main features of river cruises and listed a number of promotions available to clients of Cruise Holidays | Luxury Travel Boutique, including the waiving of single supplements on all 2016 and 2017 sailings in certain stateroom categories. Lola Stoker of Cruise Holidays | Luxury Travel Boutique is organizing a group river cruise for 2017 for clients from CARP and other local organizations such as the Kingsway Women’s Club. 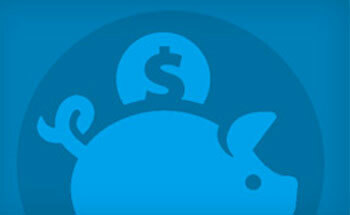 For more details, call Lola at 905-602-6566 855-602-6566. For a video of the presentation by Ama Waterways, click here or the image below. G Adventures’ Justin Weigel announced its milestone partnership with National Geographic Society and focused on the National Geographic Journeys with G Adventures in Peru as well as G Adventures local market project charity, Planeterra. Peter Wong from Cruise Holidays | Luxury Travel Boutique recently returned from this trip with G Adventures and gave a presentation to CARP Mississauga about his trip in January. To see a video of Peter’s Peru presentation to CARP Mississauga, click here. Peter is organizing a Group Trip to Peru for CARP members and friends for September 2017. For details, call Peter, Lola or Inez at 905-602-6566 or 855-602-6566. 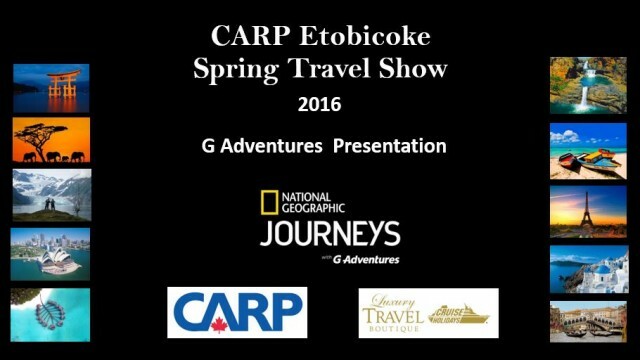 For a video of G Adventures presentation, click here or the image below. Windstar Cruises gave a presentation on their motor sail yachts and what it is like to sail on a ship with less than 300 passengers. The main advantage is the intimacy and feeling of sailing on your own private yacht. The smaller ships can also avoid the more crowded ports in favour of smaller lesser known ports. Cruise Holidays | Luxury Travel Boutique Cruise Travel Agent Barb Tudino recently returned from a Windstar cruise to Tahiti and can answer all of your questions about Windstar and Tahiti. Just You is a UK based company that has recently arrived in Canada that specializes in trips for solo travelers. They do not charge single supplements and each traveler has their own accommodations. Their focus is on small group travel for solo travelers. Lola will be arranging a special afternoon tea for solo travelers in the spring so that solo travelers can meet with Just You. For more details call Lola Stoker or Inez Conti at 905-602-6566 855-602-6566. Insight Vacations introduced two new products including a tour that features multiple nights stays in the same hotel and a ultra luxury hotel program. The idea of a different hotel each day is no longer appealing to travelers and Insight has developed a tour that is more relaxed and allows their clients to spend more time in a region and avoid the rushing around that most motor coach tours demand. The ultra luxury hotel tours offers special hotels and the opportunity to stay at exclusive properties usually reserved for royalty, movie stars or senior heads of state. Coffee and refreshments were included and everyone one had a great evening. Cruise Holidays | Luxury Travel Boutique thanks Gary Hepworth and his CARP Etobicoke tboard for the opportunity to organize this fun and interesting event.